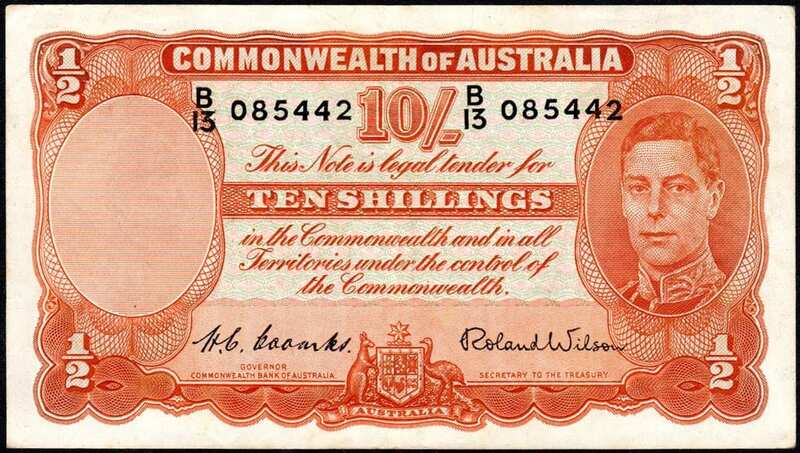 1952 aUnc Australian Ten Shillings Banknote for Sale. 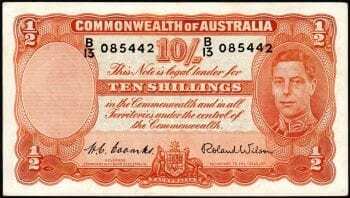 Ten Shillings – Commonwealth of Australia Banknote. This Note is legal tender for Ten Shillings. Ten shilling notes were equivalent to half sovereign gold coins. They were used in Australian from 1910-1965. Has a slight tellers flick in the middle of the banknote. 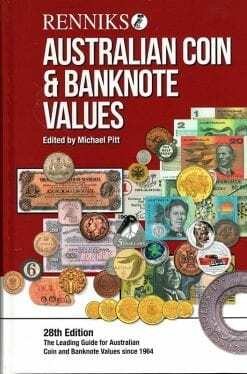 Signed by: H. C. Coombs – Governor of the Commonwealth Bank of Australia & Roland Wilson – Secretary to the treasury.